Aren’t these adorable! They’re dryer balls. Did you know that adding dryer balls to your dryer cycle can reduce your drying time up to 40%? What they do is help separate out and fluff out clothing so it has a better chance of drying. Some dryer balls are made of hard plastic which make noise throughout the dryer cycle and thunk against the walls of your unit. These are soft, fluffy, and do the same job without the noise or damage. Some people use dryer sheets to reduce static cling, but those add harsh chemicals to the clothing which isn’t good for the clothing or for you. Avoid all those chemicals. If you use a wool dryer ball, you get the same benefits in a far skin-friendlier way. 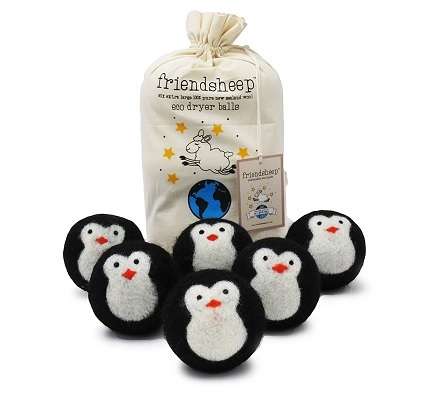 These dryer balls are organic and eco-friendly. They’re made from New Zealand wool and are chemical free. Fragrance free. Hypoallergenic. And oh so cute :). These are fair trade items. They are hand made in Nepal. The workers are paid fair living wages for their efforts, so they can feed and shelter themselves and family members. I’m a strong proponent of fair trade, as you might guess. Well recommended! Give these a try! I buy them from Amazon, I don’t know how you would buy them wholesale. I do love them!